Ever since its release a year ago, Beam has pushed for an interactive environment. From sub-second delay to an integrated stream soundboard, interaction is priority number one for the streaming website. Beam is improving on it’s developer toolkit with Interactive 2.0. With the second coming of the interactive side of Beam, they hope to make it easier for game and content creators, and even more fun for viewers. Let’s take a look at the new features releasing to better understand how your Beam experience is getting a major boost. On-the-fly Controls – Need to change the cost of a button on the fly? Have a great idea for a button but don’t have the time to go to the studio and produce it? Not anymore! You can change the title, cost, sizing, and more immediately from the console while streaming so you can add variety as you stream and keep the viewers guessing! As a streamer on Beam, you’ll start seeing new fun ways to involve your community into your content. 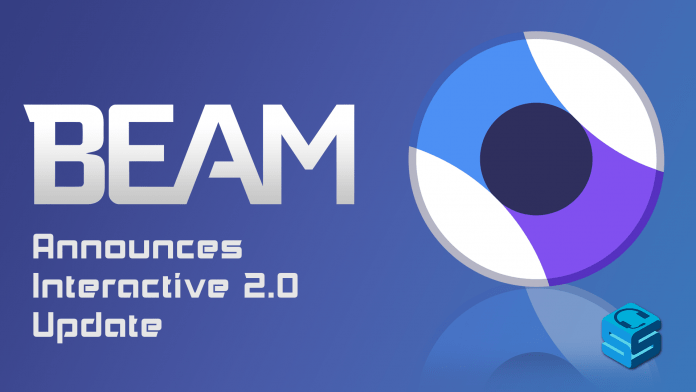 For more information on Interactive 2.0 and how you can get started as a developer, check out the Beam blog.